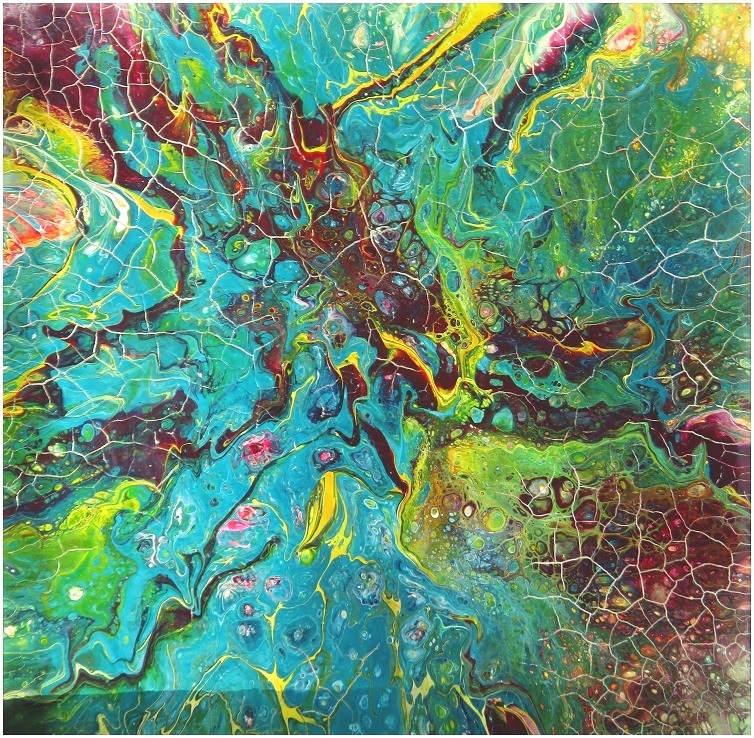 This small fluid pour could have ended up disastrous as the drying paint showed up many small cracks after the drying. 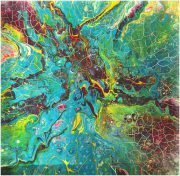 Filling the crevasses with white acrylic changed the imperfection to a very interesting textured surface, making it a successful extraordinary piece of art. A signed Certificate of Authenticity will be attached to the back of the painting.